Located on the east coast of Tanzania, Dar es Salaam is one of Africa’s most important trading ports. It is a melting pot of African, Asian and European influences, attracting visitors to its historical landmarks, shimmering beaches and national wildlife year-round. Whether you’re en-route to Zanzibar or the Serengeti, this coastal city stop will delight and intrigue you. Cheap flights to Dar es Salaam are now available for a limited time only, so book your flight today and experience the welcoming spirit and natural treasures this city has to offer! Dar es Salaam is home to Julius Nyerere International Airport (DAR), a 35-minute drive from the city centre. 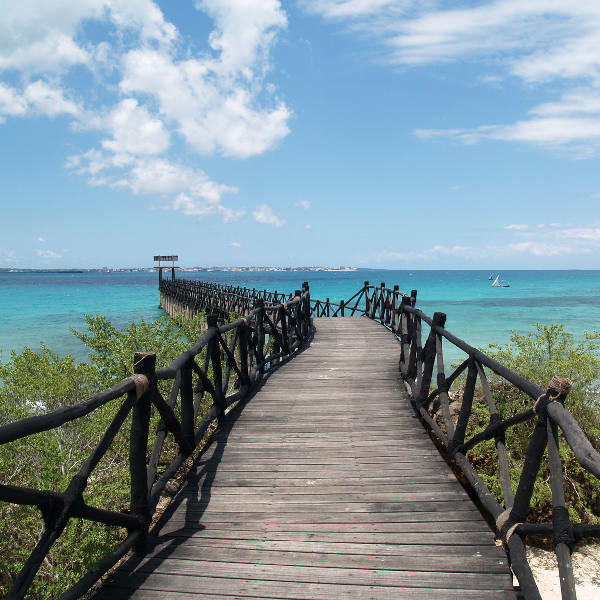 Set sail in a dhow along the calm, blue waters of the Indian Ocean, making your way to the surrounding islands of Bongoyo and Mbudya for a day of snorkelling, diving and relaxation. Grab your hat and sunglasses and head down to the popular beach spots to soak up the warm, African sun while sipping a refreshing coconut. 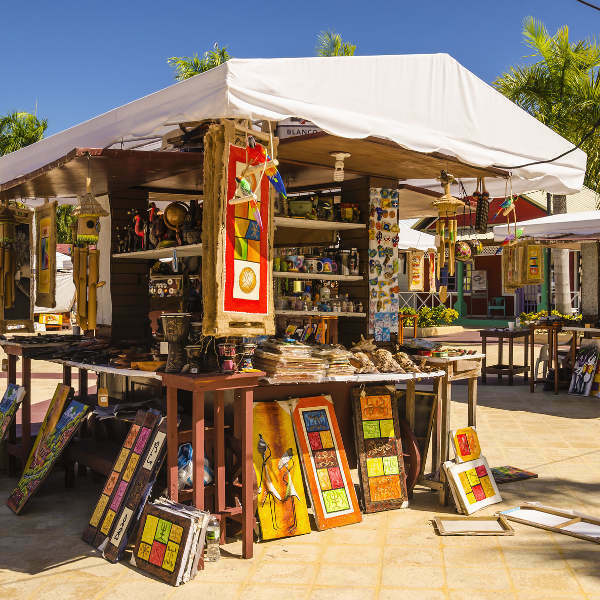 Visit the distinctive Swahili marketplaces for an authentic shopping experience, where your sharp bargaining skills will land you some rare souvenirs and crafts. Dar es Salaam welcomes visitors throughout the year. Many visitors use the city as a stop-over point en-route to the Serengeti and the islands of Zanzibar and Pemba. 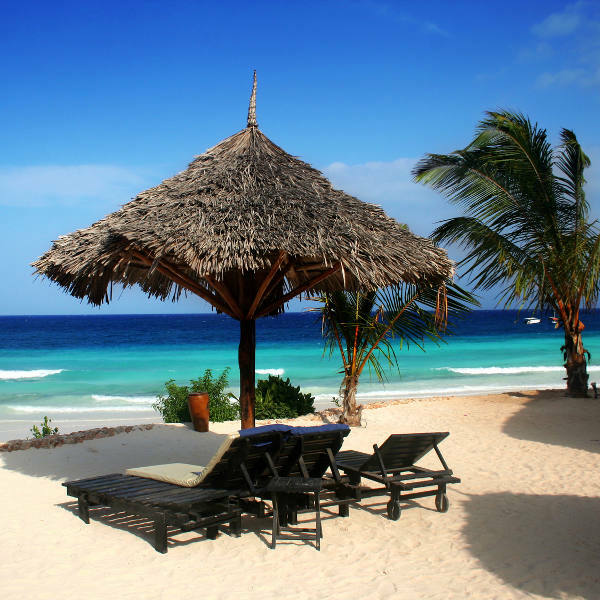 If you’re planning on taking advantage of the splendid white beaches, go during the dry season, between June and October. The clear skies, sapphire waters and warm sunshine make the city a hotspot at this time of year. Alternatively, take advantage of special rates and fewer crowds during the off-season, between March and May. During these months, heavy rains can be experienced from the early morning to late afternoon with bursts of sunshine. 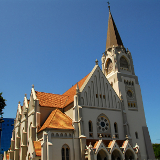 Dar es Salaam, deemed ‘House of Peace’ in Arabic, is the political and financial hub of Tanzania. A walking tour around the city, will present you with its many influences, ranging from North African to South East Asian. This is evident in its historic buildings, bustling markets and diverse cuisine. The picturesque harbours and unspoilt, sandy beaches set the scene for an idyllic holiday, while those in search of more active sightseeing can hike through the Pugu Hills or take a safari trip through Mikumi National Park. 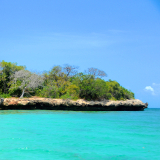 Island hopping is a great way to enjoy the pristine beaches and snorkelling spots. Divers will love exploring the marine life around Mbudya Marine Reserve and Bagamoyo, a stone’s throw from Zanzibar. 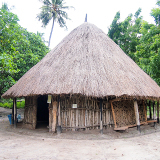 Culture enthusiasts can visit the Tanzania Centre for Cultural Heritage, the Village Museum and the many religious landmarks dotted around the city. The Askari Monument pays tribute to the fallen native soldiers of WW1. The 15th century Kunduchi Ruins are a little further north, along with Waterworld Amusement Park. Don’t leave Dar es Salaam without purchasing a unique kanga or tinga-tinga painting. No matter how long your stay is, you’re bound to fall in love with the infectious energy and tranquil scenery of Dar es Salaam. Compare several airlines and book your cheap flights to Dar es Salaam online at Travelstart! There are no mandatory vaccinations required for entry into Tanzania. It is recommended to get vaccinated against Typhoid, Hepatitis A and Tetanus as food hygiene is sometimes poor and it is easy to pick up an infection or stomach bug. Malaria is highly prevalent in this region, so it is recommended to take medication before, during and after your stay. Mosquito nets and a strong insect repellent will definitely help to minimise the risk of being bitten. Use sunscreen and only drink BOTTLED water! Dar es Salaam is a poor country and instances of petty crime are common, especially towards tourists. Violent crime is scarce, but beware of gangs operating on the outskirts of town. Walking and driving at night is strongly discouraged. Be aware of illicit trading on the black market, especially regarding currency exchange. Stick to authorized bureaus. Stay in groups when going out, especially at night where seedy nightclubs may be dangerous for naïve tourists. Do not carry visible valuables or stray too far from public spaces. Depending on your purpose and duration of stay, Dar es Salaam has various accommodation options. Those on business travel may prefer to stay in the CBD, where you’ll find a variety of business hotels and conference centres. Those in search of more budget-friendly options can find a few hostels and lodges around the city centre, costing between 15 000 – 25 000 Tsh per night. If waking up to the sounds of the ocean sounds like bliss, you’ll want to stay near Msasani Peninsula and Coco Beach, home to more upscale hotels and beach resorts. There are many selections along Haile Selassie Road. Most hotels provide breakfast, but you’ll definitely want to explore lunch and dinner options elsewhere with a fusion of culinary delights around town. Zanaki Street is home to some popular restaurants and with an assortment of Ethiopian, Middle-Eastern, Asian and western cuisine to choose from, you’re guaranteed to satisfy any craving! A good way to get around is by public buses called ‘daladalas’. Note that these buses can be crowded and slow, though at only 300 TZS for a trip, you may want to buckle up and embrace the wilder side of African transport. Bajajis are also popular modes of transport. These three-wheeled vehicles are cheaper than taxis and will take you around the sites and as far up the coast to Bagamoyo. Taxis are available, but it’s best to arrange a driver beforehand (especially at night to avoid walking around in search of one). If you plan on doing a day trip, it may be wise to hire a driver for the day. Of course, the best way to explore a city is by walking around, but avoid walking around at night, especially if you’re on your own. When heading back to the airport, make sure you leave way ahead of schedule, as traffic gets particularly congested between downtown and the airport, especially between 5 and 8pm.